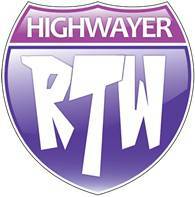 Today is Road Trip Wednesday 🙂 RTW is a ‘Blog Carnival,’ where YA Highway’s contributors post a weekly writing- or reading-related question and answer it on our own blogs. You can hop from destination to destination and get everybody’s unique take on the topic. This week’s topic: About how many books do you read in a year? Do you want to read more? Or, less? So far, I´ve read about 72 YA (and NA) books this year (about 86 books in total). Yes. 72. And the year is not over. That seems like a lot. I see my husband rolling his eyes at the number. But…I spend a lot of time in commuting, and I´m a fast reader. You combine the two and you get a whole lot of books in a year. My commute is for both reading and writing, and when I´m deep into a draft, there will be less reading. I don´t set a number per year, I don’t have a goal of books I feel like I need to be reading. But, since I’ve become serious about my writing, I also believe that reading a lot does improve my writing. After all, even Stephen King explained: “If you don’t have time to read, you don’t have the time (or the tools) to write. Simple as that.” It also helps me to know what’s already out there, what works for me, try to touch the elusive point on the reasons why I get lost in a book. That magical moment when it’s simply you and the story. It always leaves me in awe at the way a writer was able to create that chemistry through words. A lot of times, I also simply enjoy reading for reading. You know getting the butterflies when a book pulls you in and doesn’t let go. It helps me de-stress, it makes me smile, and yes even when it makes me tear up, I welcome all the feelings. I even have some books, I will re-read because I know they will lift me up. I don’t think I’ll ever get enough of books. Sorry hubby, the shelves will continue to overflow. So, tell me: do you set yourself a “reading goal” per year? I don’t set a goal but I love books and I definitely agree that reading helps writing! So many books! Like you, I read to improve my craft but mostly because I love it. Few things make me as happy as an hour with a good book. PS: How did you make that cool graphic of the covers you’ve read? Ohhhh an hour with a good book is priceless 😀 😀 😀 I�ve been known to sneak in reading time in all possible places if I�m deep into a story… So to make the graphic I went to the widget of goodreads (My books, tools, widget), it�s the grid widget, then I chose the shelf I wanted, and the number of books. Then since WordPress doesn�t accept this code, I took a screenshot, cut it and saved it as a picture 😀 Let me know if you need help! I *almost* miss my commute for this reason. I’ve definitely slowed down since then! I’m also starting to steer my reading toward books that have things in common with mine, and I think next year I will start going back and re-reading things I really loved so I can study things like pacing (!) and tension. My goal this year has started to make me a little nuts, so I will definitely set a lower one for 2013. I do like that it motivated me to carve extra reading time out of the day, though, so I think I’ll set at least a baseline goal for next year. I don’t know how many books I read but I also review books as well. So I learn from who I read. Currently I have three books I am reading. I am going to check how many books I have read this year and will do my own post and let you know. Although I am not a young adult writer I do like to read your novels as well. Have a merry xmas. So many books! I love it. And I agree that commuting makes for a happy reader! Also I love that graphic—you’ve gotten some good ones in this year! I love that Stephen King quote! That kind of lit my fire to read more books too. I’ve always loved reading, but I hadn’t made as much committment to it until a few years ago. I like how King suggests it’s OK to ignore friends and coworkers for the company of a good book. I actually do this–I’ll have lunch with coworkers once or twice a week, and the other days I read and eat lunch alone. I agree, reading helps greatly improve writing if you’re looking for that. I have certain books I read to know the YA market, and others I simply just want to read. I love that graphic with all the books together! I’ll have to try that out if it’s something from Goodreads. I’m rarely without something to read. And now with the Kindle, I can carry a ridiculous amount of them with me at any given time. I’m with you on reading for writing development, Stephen King’s advice is spot-on. This year was the first time I set a reading goal of one book a week and I managed to accomplish it by October thank goodness as I have completed only one book since then (lets not mention the book I’m 400 pages into and have set aside for now), being super busy this quarter. Mslexia magazine? That and/or the writer’s diary are both something your husband might like to know about before Christmas (wink, wink). I love all the feelings books can give me. It’s like therapy. 72 is a great number! I’m like you, I don’t set reading goals, I just read and see where it goes.